Known by several names such as Digipaks, Digipacks and Digipacs. They include a plastic disc tray that holds the disc onto one of the panels in the folding cardboard case that is made up of 2 heavy double sided cardboard panels. 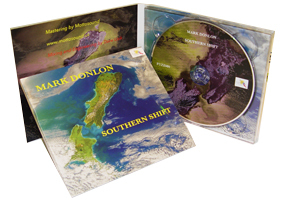 Digipaks are ideal when you want to convey a superior product. All our Digipaks are already shrink-wrapped to give that professional finish. ​There is a $40 fee for setting your supplied artwork for print and for sending you a proof for approval before production commences. It is preferable and more reliable to send us a ready to play master CD or DVD. However, if this is not possible and we have to download files and/or create a new master from supplied files then an additional cost of $35 will apply.. These fees are a one-off cost and do not apply when you do a new order.